Explore the exciting world of numbers, brought to life through this irresistibly adorable tabbed board book. 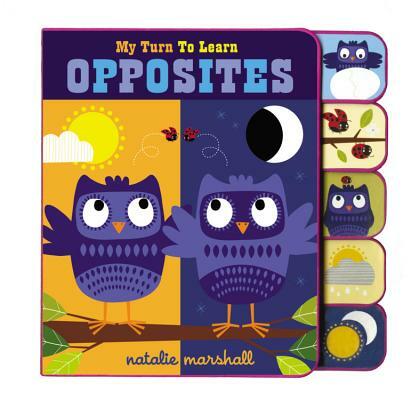 My Turn To Learn Opposites uses simple, colorful images and bold, lively scenes to teach early counting concepts. The tabbed edges and thick, strong pages make it easy for young readers to flip through the book by themselves, revealing fun, colorful answers on every spread. Featuring a unique format and bright, bold art and design, these books offer an interactive reading and learning experience that can withstand even the most "hands-on" readers!